Former Democratic Alliance (DA) member and Cape Town mayor Patricia de Lille announced on Sunday that she will be launching a brand new political party in the coming weeks. This announcement came three weeks after she walked out on her position as executive mayor of the City of Cape Town, and after months of ugly political spats and bitter infighting between her, members of her mayoral committee, and leaders of the DA. But there is hope to create a new movement for good with her new party, she tells The Daily Vox. The decision to start a new political party was a carefully considered one, de Lille said shortly after the launch. The consideration was taken according to the results of a survey she commissioned, consultations with her mentors and family, as well as a petition with 10 000 signatories asking her to start a new movement. The answer certainly did not lie with joining an existing political party. â€œI had to assess the existing political situation and the parties in the country. I then decided that what I wanted to achieve is not on their agenda,â€ de Lille said. De Lille is looking to fill in the gaps in the South African political arena. â€œWhat the survey has shown is that people are very disillusioned with the existing political parties and there are a number of undecided voters. I will target the disillusioned and the undecided voters to join the movement for good. If good people do nothing, that is when evil will prosper. Iâ€™m calling on the good people in South Africa – of which there are many – who want to build a good country to collect and come together,â€ de Lille said. The name of the party will be revealed in two weeks. De Lille says she will â€œgive detailed positions on policy issuesâ€ then as well. The party will officially launch in January, in time to contest in the 2019 elections. De Lille says he is not particularly targeting coloured voters as South Africa voting is issues-based and not race-based. â€œI think South African politics has shown that people are voting on issues rather than race,â€ she said. â€œThe Constitution makes makes provision for a multiparty democracy, so all people have voted for all kinds of parties which is good for our democracy to move us out of this race-based politics into one where we can work together for the good of South Africa,â€ de Lille said. The majority of good South Africans are not racist, she added. However, de Lille said she will confront race in the same way she did during her stint as Cape Town mayor. â€œ I will be confronting racism across the country like I did in the City of Cape Town where I was the only mayor in the country that confronted racial issues by having a desk where people could report racial issues in the country and we responded to these issues. Race is still a major issue and people feel very uncomfortable talking about it. But we need to talk about it,â€ de Lille said. Besides race, women and the youth are big on de Lilleâ€™s agenda. There is a stark absence of youth in formal political structures. â€œExisting political parties have got the tendency of recycling the same old politicians because people want to remain a Member of Parliament (MP) for 15 years to receive a pension,â€ she said. In the survey, de Lille found that the bulk of her support group is youth. In her party, she wants to create a leadership consisting of at least 60% young people and 40% experienced people to groom the next generations leaders. â€œI want young people to take over the movement when I leave. I can never sit still until we increase the number of people who are testing the fruits of our young democracy. These are young people,â€ de Lille said. â€œBy the time that I have left in politics, I want to create a movement whereby young people are given the opportunity to get involved, go into Parliament and speak on behalf of the youth,â€ she said. She said she will continuously be consulting young people about politics. â€œHow can I retire and sit at home when thereâ€™s so much work to be done in our country? This is a movement of good South Africans including young people, women and men who will take this country forward,â€ de Lille added. As promising as this sounds, all political parties make big promises to the youth which they rarely deliver on. It will be interesting to see whether de Lille lives up to the legacy she says she intends to create. This will not be the first time de Lille is at the helm of a political party. Originally an MP of the Pan Africanist Congress in 1994, de Lille left the party in 2003 to start her own party which was called the Independent Democrats. The party had a strong voice against issues like corruption, women and children abuse, and xenophobia. It was a cocktail of right-liberal proposals and left-wing sensibilities with strongholds in the Northern and Western Cape. But it was swallowed up by the DA in 2010 and then disbanded as a separate political organisation again in 2014 without de Lille. De Lilleâ€™s position within the DA was an arduous one, particularly during the last 18 months. From mid-2017 until her resignation weeks ago, de Lille has been under fire both externally and internally. 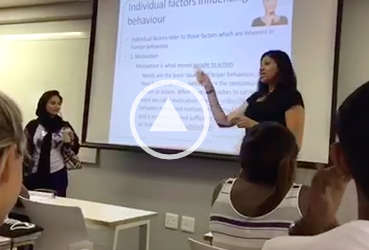 She was under a broad investigation into the City of Cape Townâ€™s management executives for potential misconduct. Then in September 2017, she received a suspension from DA party activities after an argument between herself and mayoral committee member JP Smith, regarding her decision to shut down a special investigating unit in the city, became public. At the same time, de Lille faced allegations of corruption and mismanagement following an investigation by the Federal executive of the DA. Last week, in a victory for de Lille, the Western Cape High Court ordered the DA to scrap the findings against her. The DA has been calling for de Lille to resign since the beginning of the year. De Lilleâ€™s grit and willingness to stick it out until announcing a new party could have devastating consequences for the DA in the upcoming elections. 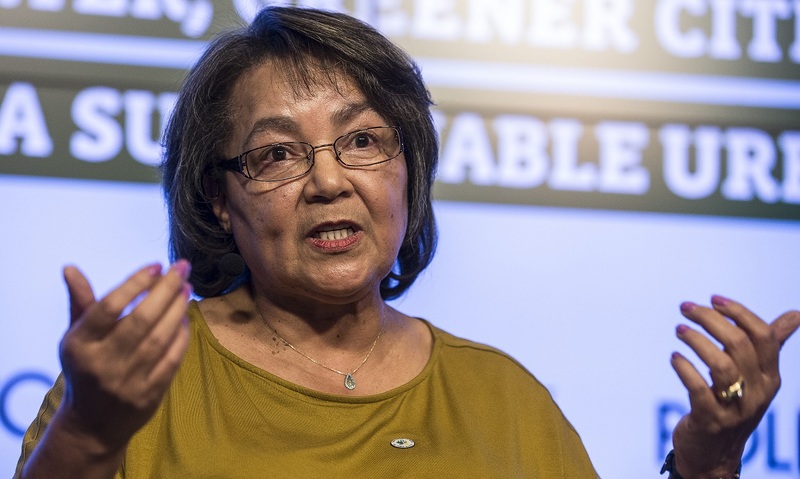 In the interview with The Daily Vox, de Lille was evasive about the DA. It will be interesting to see how many of the City Council members who resigned will join her party in the next two weeks and also how the DA reacts to her formal campaign. In the meantime the DA, in a statement, said that while it â€œnotesâ€ that de Lille has formed a new party, it will continue to focus on its own campaign. â€œWe are committed to building One South Africa for all and we will not be distracted,â€ the statement said. EFF leader Julius Malema has welcomed de Lilleâ€™s decision to start a new party. â€œI am very happy. I am excited because someone is going to eat the DA vote. When you eat the DA vote, you make the EFF the official opposition, you see?â€ Malema said. What de Lilleâ€™s party can achieve in the upcoming governmental elections in 2019, we wait and see.